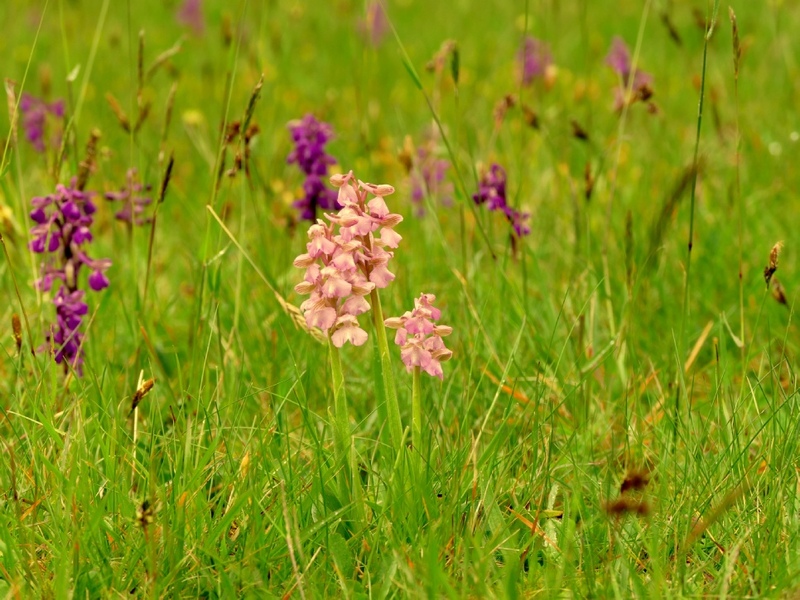 Our native orchids are exquisitely beautiful and extremely variable, growing in habitats as diverse as deep woodland shade, chalk downs, waste tips and disused quarries, to sphagnum bogs. 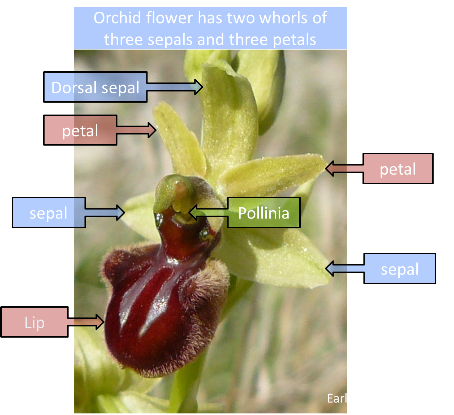 how the flowers of the rare Early-spider Orchid in Sussex (and other species) rotate as they grow. 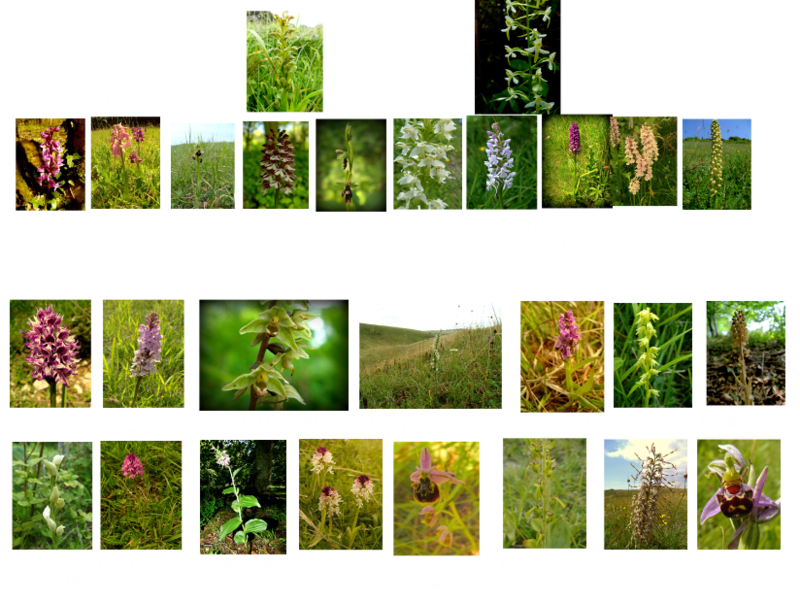 Twenty seven species of native orchids are shown in their natural settings and in close-up, plus a few from Italy. The talk lasts 60 minutes. 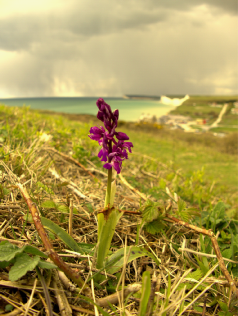 Left, Early-purple orchid on the Seven Sisters overlooking Birling Gap. “The best talk that we have ever had” was a comment from one horticultural society in West Sussex to this talk.